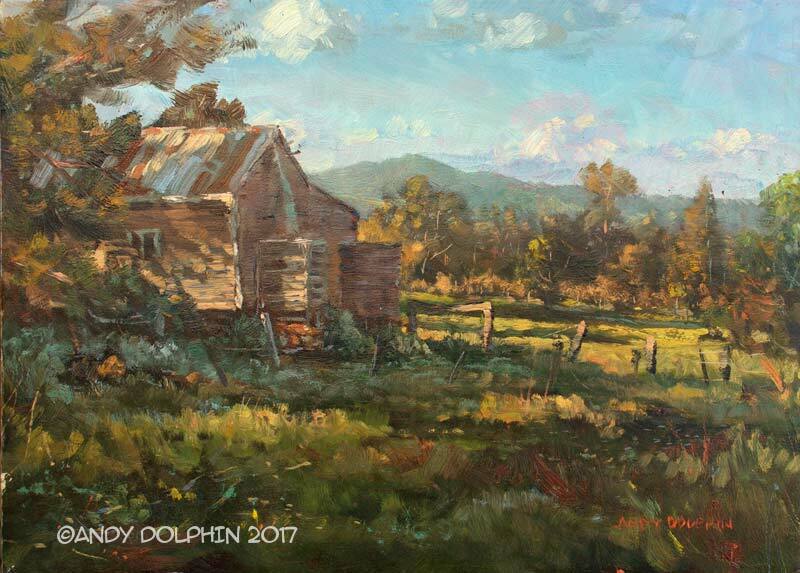 Following a long weekend of interesting weather, in which we managed record spring rainfall – and flooding throughout the region – I went out painting on a beautiful spring afternoon, last Thursday. 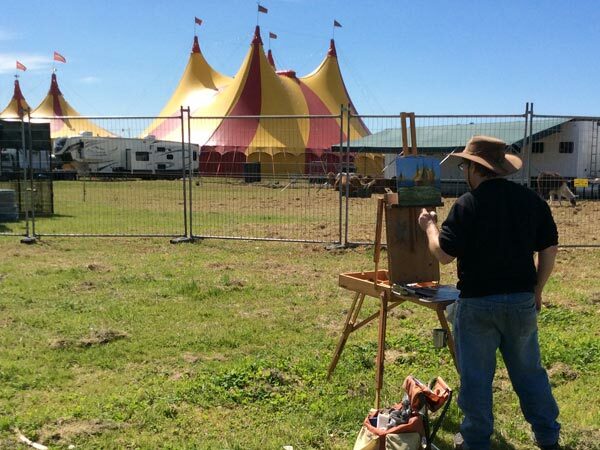 I had been out in the morning with the plein air artists from Albany Art Group and wasn’t planning to paint in the afternoon. 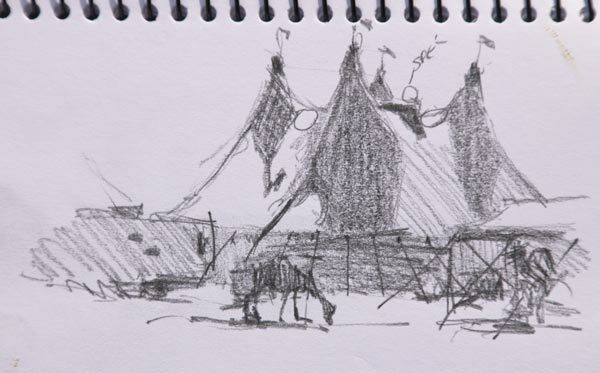 However, I was driving past a semi-rural spot that’s always caught my eye and I decided to have another look. Next thing I knew, I was setting up my easel. I also set up the video camera so you can follow along with me on Youtube. The final photo looks a little dark on the video, at least on one of my monitors. The image above hopefully looks okay on your monitor. Something about this tree intrigues me and I think I’m going to go back and paint it again, maybe when the green has gone from the grass. I’m not a fan of electric greens and after the rains we’ve had in recent weeks, the grass is definitely green. I could have toned it down, but I want to see if I can learn to like it how it is. It would definitely make my life easier since it’s pretty green down here around nine months of the year. 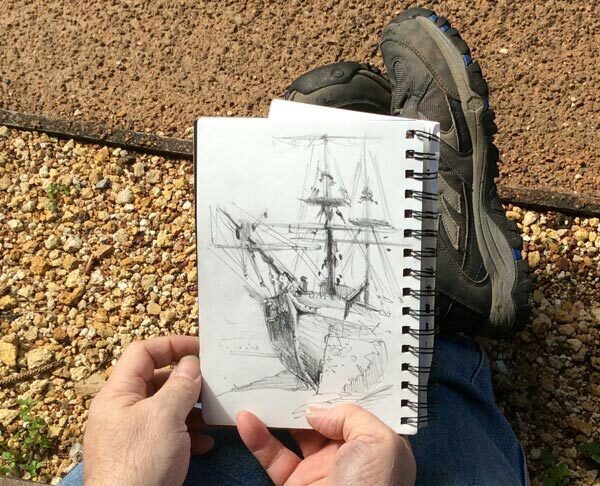 I recently tagged along with the Albany plein air painters – a group of artists who choose a new location around Albany to paint or sketch every Thursday morning. 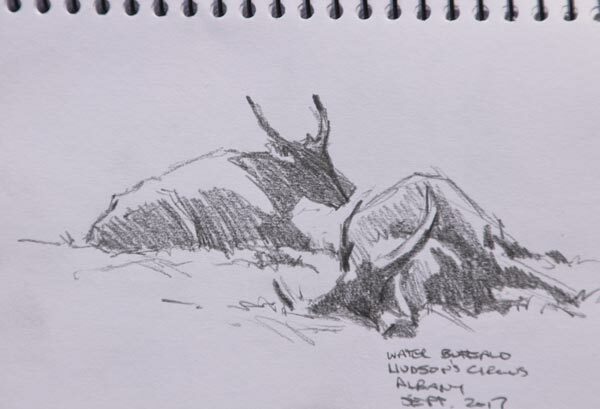 Here’s some of my efforts from the last couple of weeks, including this week’s trip to the Hudson’s Circus which was in town for a few days. 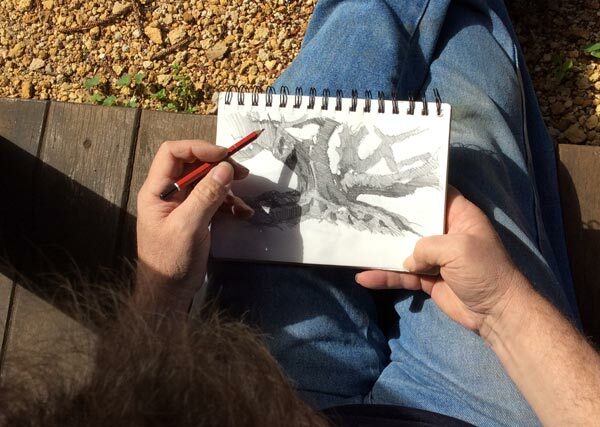 I’ve always wanted to draw or paint a Moreton Bay fig tree and the Albany museum visit provided a perfect opportunity. 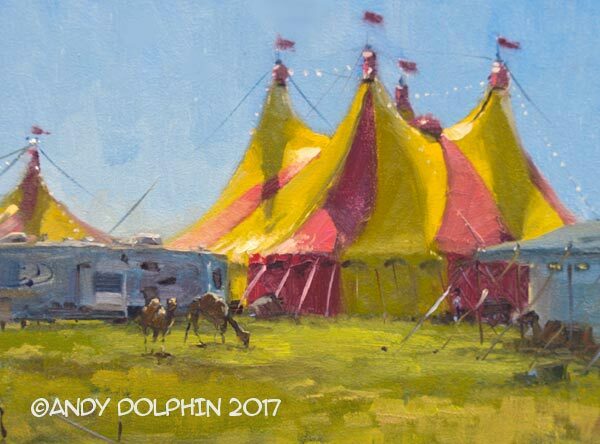 The circus painting was a challenge but with some cropping and minor rearranging, I think I can make a new painting from it. Thanks to Ros Jenke for taking the photos of me at work. 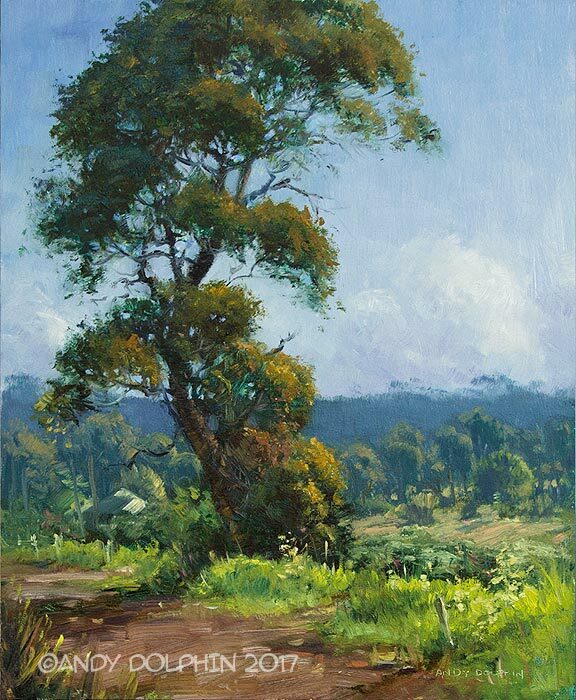 Here’s the original plein air piece, which I did about 13 years ago. At the time, I was pretty happy with this painting but over the years, I’ve realised several issues that needed fixing. 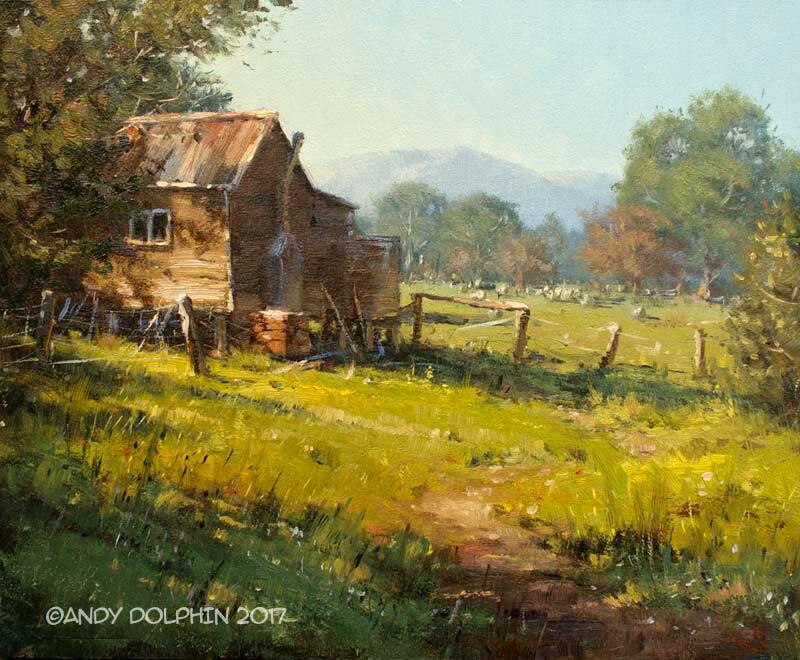 Although the final painting is substantially different in effect when compared to the original, it retains a genuine sense of place and I’m sure anyone who is familiar with the location would readily recognise it. I recently discovered the Youtube channel of British watercolour artist Tim Wilmot, where he methodically demonstrates his approach to loose, semi-abstracted representational painting. 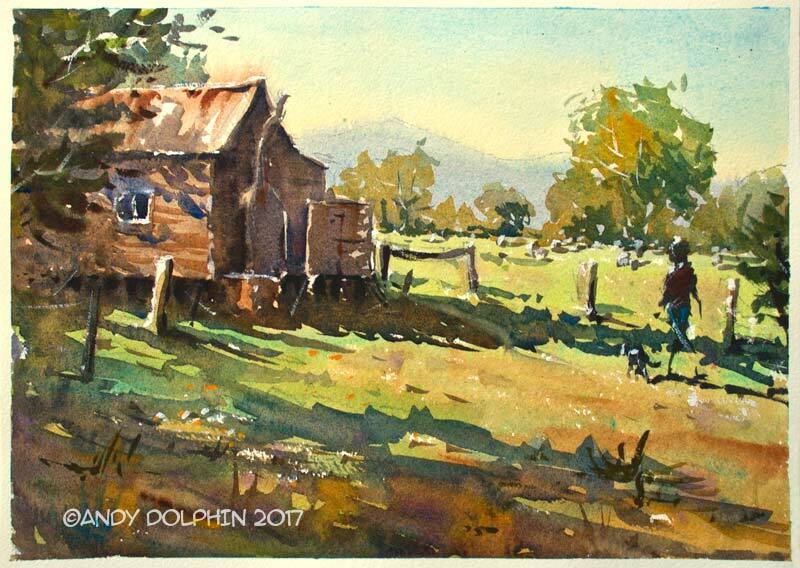 It’s a style of watercolour I have always liked and his demonstrations make it look possible. So, with my new-found enthusiasm for watercolour, I dug out an old plein air oil painting – which has it fair share of issues – and decided to repaint it in watercolour while fixing some of those issues along the way. In the hope it wouldn’t be complete disaster, I also decided to video my progress. And since it wasn’t a complete disaster, I edited the video and uploaded it to Youtube. When I travelled to the John Wilson workshop in Katoomba last February, I had to devise a plan for bringing wet paintings home in my luggage. I made two wet-panel-carrier boxes from plywood, using balsa wood for the divider strips, but I also needed something for paintings that were too small for the boxes. After fluffing around with various ideas using timber strips and elastic bands – ideas that failed, I might add – I came up with the idea of making small corner spacers that could be held on with clips. These would work for paintings in a variety of sizes as long as I had a pair of same-size boards to clip together. I videoed the making of them and have finally edited the footage and uploaded it to Youtube. In reality, it took less than a couple of hours to make 32 of these little spacer widgets – enough to carry 16 small wet paintings. It took me far longer to make the two box carriers. 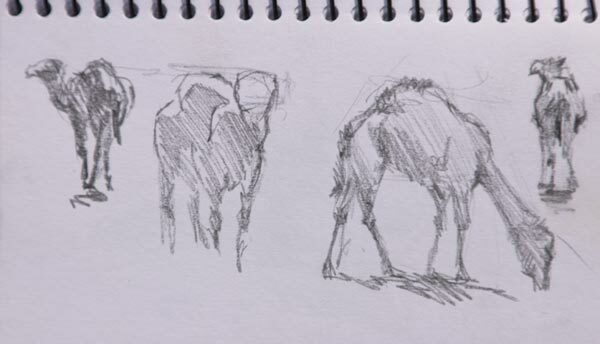 I would only use these on small paintings, up to around 10″x12″. I haven’t tried yet, but it might be worthwhile to make some straight widgets to clip to the centre point of each edge, and this might make them more practical for slightly larger paintings when combined with the corner widgets. To the east of Bluff Knoll lies a mountainous wilderness known colloquially as “the ridge walk”. Requiring serious bush-walking, navigation and climbing skills it is, by all accounts, a magnificently hellish place to experience. It’s not near the top of the list, however. 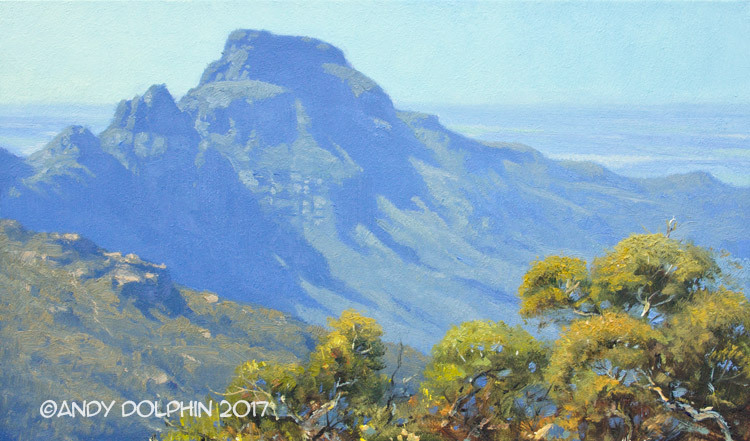 This painting, showing the view to Ellen Peak at the eastern end of the ridge, is based on photos I took from the top of Bluff Knoll. The photo references were taken mid-afternoon last September. I hope to take another look once the cooler weather settles in later this year. Early morning or late evening should be spectacular.